Book hotel rooms online with us at Hotel Dom Pedro Portobelo at the lowest rate, guaranteed. 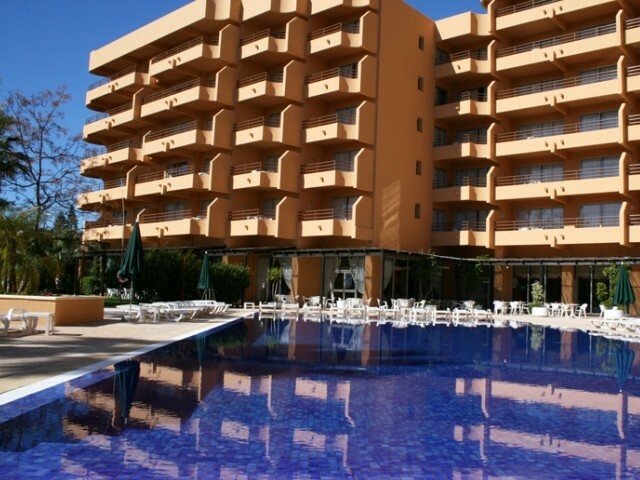 Get a holiday discount apartment rate at the 4 Star Hotel Dom Pedro Portabelo Apartments in the heart of Vilamoura Resort in the Algarve. The hotel is only 250 metres from the sandy beach and less to either the Marina or the Casino. Hotel Dom Pedro Portabelo Apartments in the Algarve are holiday studios with kitchenettes that sleep 2 persons, one-bedrooms with living rooms and kitchenettes sleeping up to 4 persons, and two-bedrooms with separate kitchens that sleep up to 6 people. Attached to the self-catering apartments are an outdoor pool and a restaurant and bar. All Hotel Dom Pedro Portabelo Apartments are air-conditioned and Wi-Fi is available.